When it comes to outdoors clothing companies three names at the top of many people’s lists are LL Bean, North Face and Patagonia. These shops offer a wide variety of merchandise to their buyers, all of which have their own preferences in stores. But are they each really all that different? Let's take a look in this revealing comparison article. LL Bean is a privately owned retail company that provides mail-order and online outlets in addition to its physical stores. The company is based in Freeport, Maine, and it has a product line that leans heavily toward the clothing and outdoor recreation market. In 2006, sales of the company were estimated at $1.78 billion. The North Face originally made its name as an outdoor goods provider, and it was founded in San Francisco in 1966. It was then that the two original owners, Douglas Tompkins and Kenneth "Hap" Klopp, opened up a retail store that primarily sold outdoor equipment. 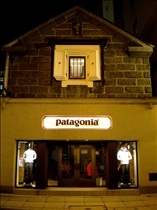 Patagonia is based in Ventura, California, and its product line centers mainly on outdoor apparel. Patagonia was first started by Yvon Chouinard in 1972. LL Bean’s product line has always been about the great outdoors, although its early offerings of boots, backpacks and tents were later augmented by more general clothing, which in fact now makes up a large part of there company catalog. The North Face also offers mainly outdoor clothing, and along with the requisite backpacks, tents, and sleeping bags, the company also offers equipment which are useful for outdoors activities. Most of Patagonia’s products are intended for skiing, camping, hiking and rock climbing, of which the Capilene clothing line is one of the most prominent. The company also recently began offering surfing and swimming specific items, in addition to more general apparel. LL Bean is involved in several education programs that are related to outdoor pursuits. These programs are offered to customers of the store, all of who can join in on the activities for a nominal fee. North Face is also heavily involved in supporting outdoor activities by way of its various athletic programs. In fact, a few of the participants of such programs have gone on to wider acclaim with Lizzy Hawker being one of the most recognizable. Patagonia for its part actively supports various environmental concerns, with as much as 1% contributed to various environmental groups. At present, it is estimated that the company has donated over $25 million to various earth friendly organizations. Which clothing line matches your nature style? All three sell high quality items. LL Bean's are less expensive because they don't advertise or have to send products to retail stores (besides the ones stated LL Bean). It's all mail order. Bean's return policy is great too. I had a jacket for 2 years then had a mystery rip. I sent it back for a full exchange, no questions asked. It only costed me $6 for shipping. I've only bought items from LL, but my friends with NF stuff wish they would've bought my jacket for 60% the cost. Then again, you can try NF and P stuff on in stores...NF and P sell good stuff too, they're just much more expensive than LL Bean. Let's talk fit and functionality. I don't know anything about P or LLB along these dimensions. I only bought NF because of the fit, not bulky, comfortable and stylish design for their Apex Bionic line. Also, the zipper pockets are necessary. A lot of athletic apparel misses the mark on this feature. Does P fit as well as NF? I looked on their website and saw they did have zippers. It looks like the might be able to compete with the infamous and overly worn Denali with their rival that claims to be wind resistant, not true of the Denali. Here in the NE, wind resistance is very good, so I am wondering why P doesn't have a larger presence in this over populated NF market? I'd like to look different from my teenage kids and college campus students, but I want good fit and functionality. Many years ago, I did buy from LLB, but the fit was much less shape flattering. Has that changed? I have heard from others that their return policy is unprecedented. A friend's daughter returned a pair of prematurely torn fleece lined mocs, the types all the soccer girls wear, and they sent her a new pair no questions. They are a nice alternative to the over priced UGGS collections. only problem with the NF Denali (otherwise perfect in every way) are that the pockets of the near 200 dollar jacket have very very thin lining to it. It could easily ripe, and your valuables (wallet,phone,etc) easily fall out.. I don't understand why the NF made their Denali jackets this way. instead of sewing on a cheap fabric, why not just allow the polartec fabric to provide the fabric for the pocket? I guess this is their way of cutting cost. Pockets are very important. The NF Denali has high quality zippers for their pockets, but their pockets themselves are not at all high quality. They are the lowest quality jacket pockets i've ever seen, even compared to the ones of 10 dollar jackets at walmart/target.